Trade publication Fleet News surveys the UK's largest lease companies every year, asking them to score the best performing cars and manufacturers, with the results compiled into a top 10, and responses covered a sample size of more than 610,000 cars making it the biggest survey of its kind in the UK. Incidents of downtime through faults and general reliability as well as recalls are assessed in the survey. 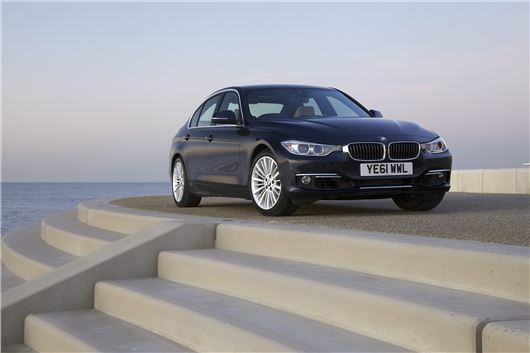 The BMW 3 Series has taken the top spot for cars every year since 2010, while BMW has also been successful as a manufacturer. In 2014 it has regained fist place after losing out to Audi by a small margin in 2013. The Volkswagen Golf is the second most reliable car, gaining a place from last year, and knocking the Audi A4 down a position to third. Despite Audi losing the top manufacturer spot to BMW in 2014 and the A4 losing a place to the Golf, the A3 is placed higher than in the 2014 table at fourth. BMW’s 5 Series has also gained a place compared with 2013, the second of its cars securing a top 10 position, while the Honda Civic has slipped from fourth place to sixth. The highest placed Mercedes-Benz is in seventh place as the C-Class returns to the top 10. Leasing fleets would by the facelifted version of the previous C-Class, with the latest model too new to register. Mercedes-Benz has taken third place in the manufacturers’ rankings, leaping five places compared with 2013, which suggests a significantly improved performance. The manufacturer table has mixed fortunes for other European-built cars, with Volkswagen slipping to fifth place from third in 2013. Skoda has fallen from ninth from sixth, while Ford has dropped to sixth from fifth last year. Nissan (which builds the Qashqai, Juke and Note in the UK) has gained a place, rising to eighth from ninth last year. While the final position in the top 10 manufacturers is taken by Kia. Most of the models sold by the Korean brand in the UK are now produced in Europe. While the production processes and quality might have improved, so has the likelihood of discovering a fault that could lead to a car being recalled. The Mercedes-Benz C-Class beats the BMW 1 Series into eighth position, while the Ford Focus climbs to ninth from 10th place in 2013. The Toyota Avensis takes the final position in the top 10, re-entering the table after an absence of two years. how does this tie in with the german cars having the bottom ten spots in engine reliability or is this based on high motorway mileage journeys or just badge snobbery? Any rankings like this that don't provide the information about how the data is gathered and the calculations are done aren't worth much. Golf in second place? A couple of days ago I read an article by Honest John which gave a whole litany of faults with the Golf.